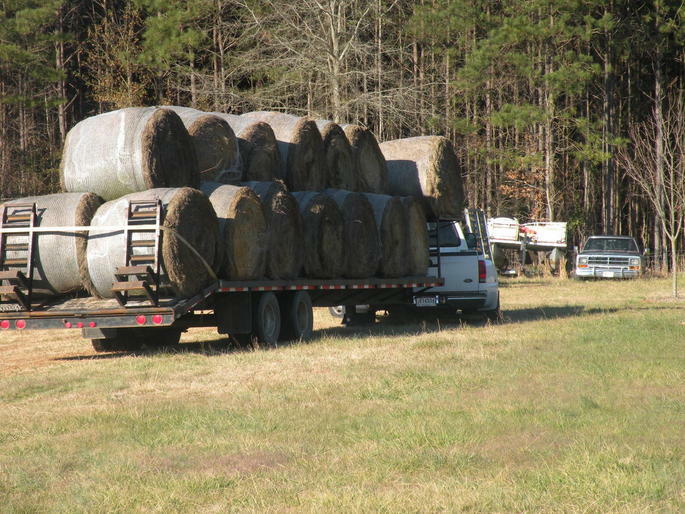 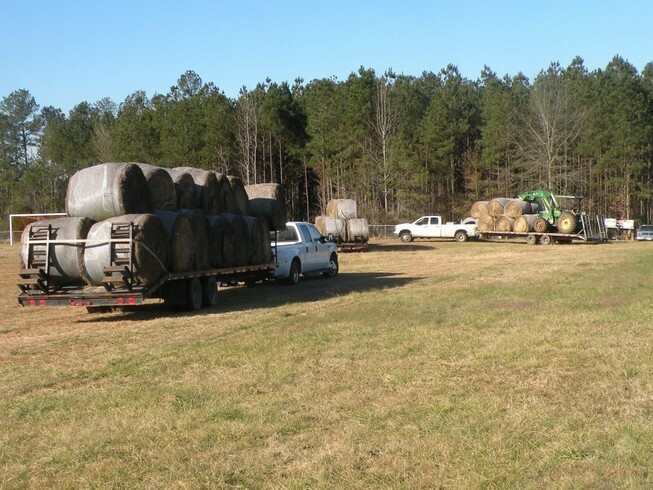 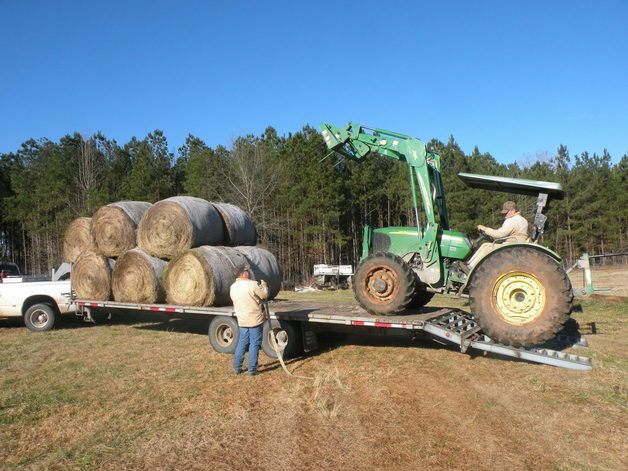 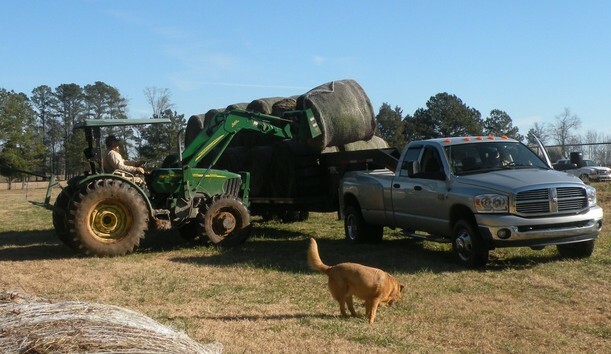 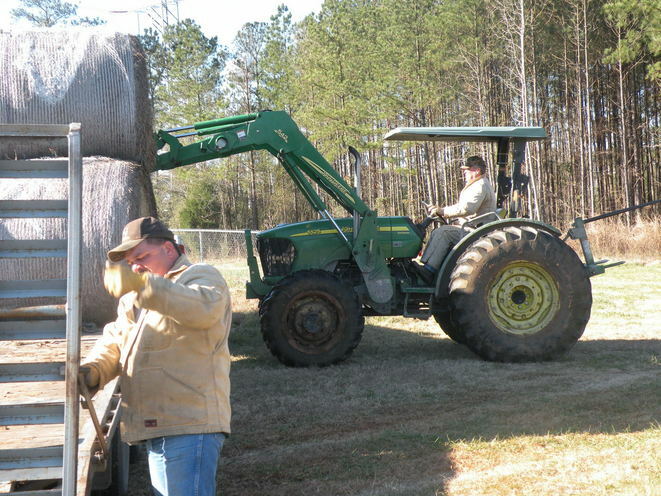 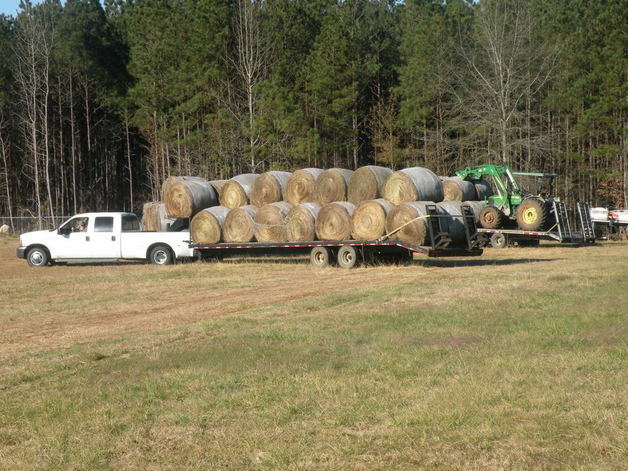 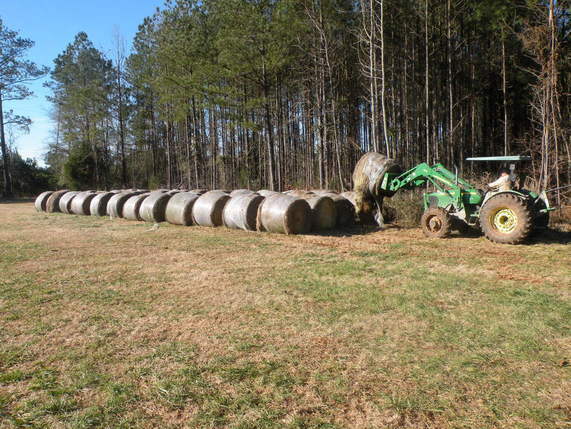 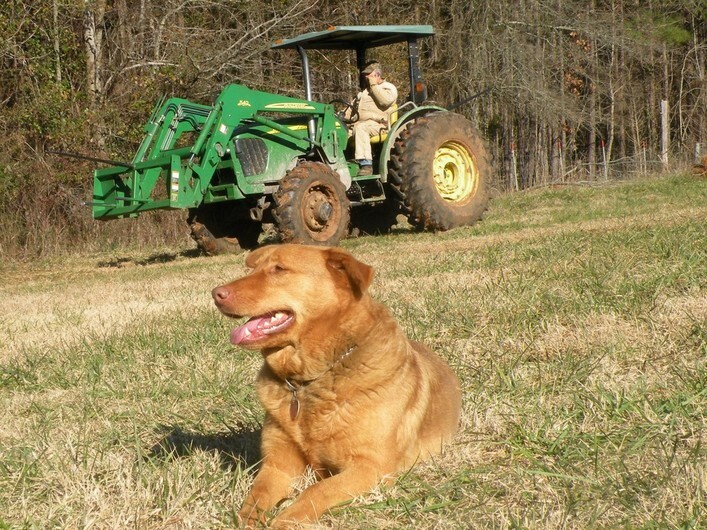 The boys (and the animals) would like to say a BIG "thank you" to Wally Yonce, of Saluda County, for donating 51 large round bales of coastal bermuda hay. 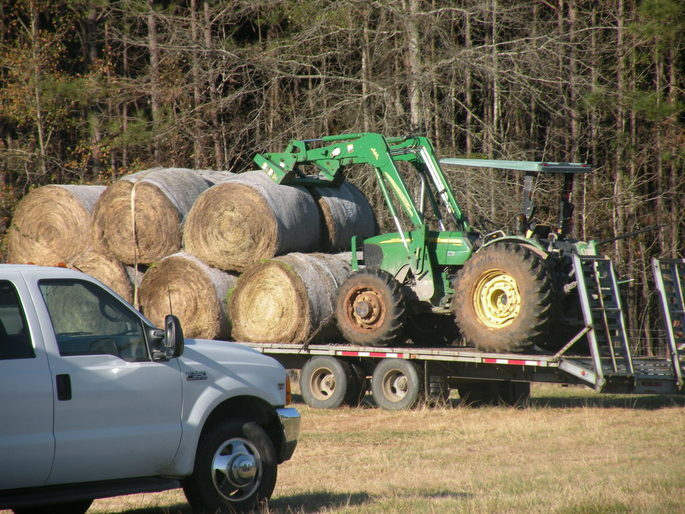 We also want to thank Jason Price, Johnny Feaster, and Chalmers Carr for delivering the donation (which is no small task, as you can see in the photos). 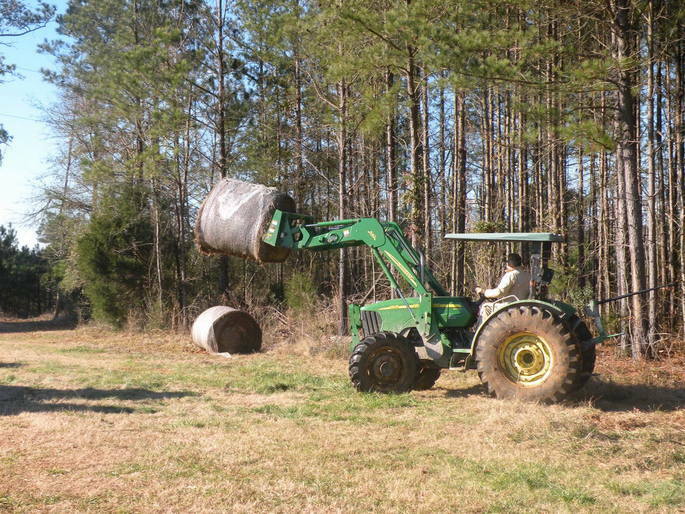 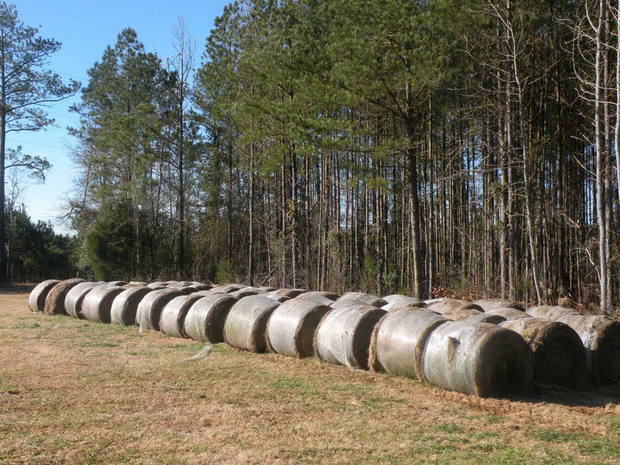 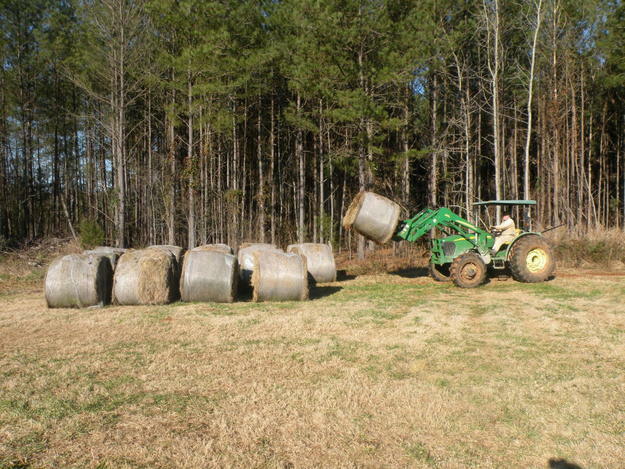 Our cattle, horses, goats, and sheep can eat up to 10 of these round bales per week in the winter!